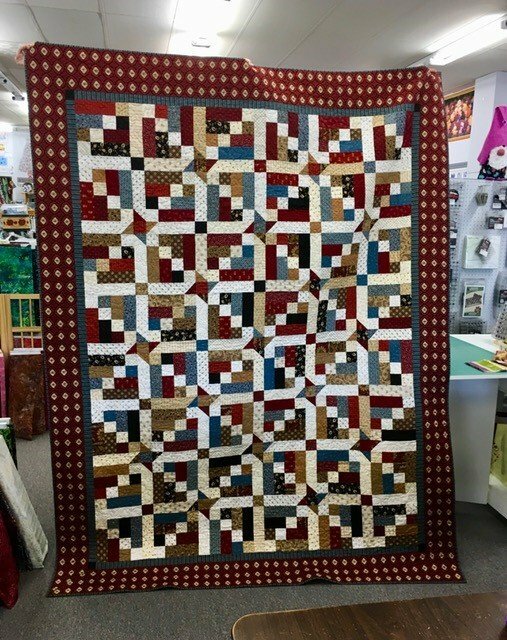 This is a fun and easy quilt to put together that will highlight some of your favorite fabrics. You can choose particular colors or us a variety of fabrics for a scrappy look and then add a border to compliment your fabric choices. This delightful pattern is found in "The Big Book of Civil War Quilts"! Book purchase required.